It's all in the game!! : Why is it called 'Chicken 65'...? 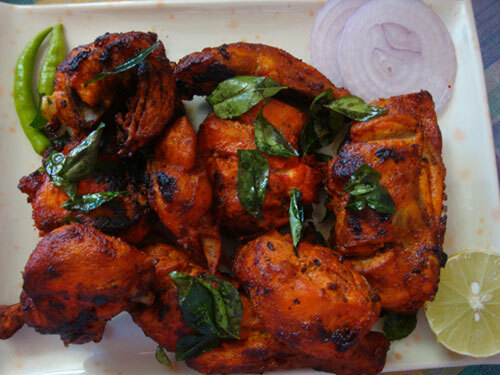 'Chicken 65' is one of the most popular chicken dishes in India (at least in South India). Every 4 out of 10 side dishes ordered every time, every day, at every hotel in Tamil nadu will be a 'chicken 65'. this form of chicken has really positioned itself as one of the best, amongst all other dishes. Ever wondered why it is called 'Chicken 65'? I am sure you would have... at least 90% of the people at sometime or other would've wondered about the reason why it is called 'Chicken 65'. The remaining 10% of the junta who just like to hog food and dont care why it is called by such a name, they are 'god's own people'. lets not disturb them. this post is not meant for them! Now, I have to tell you about what really inspired me to write a post like this! As I am on diet now, I am avoiding most of my favourite food items (mainly junk food, deep fried, with heavy fat content, milk products, sugar rich, oil rich stuff etc). So i thought, I'll give myself visual treats, instead of the actual treat (sorry my tongue). Off late I started watching a lot of cooking videos online. like 'BBQ pit boys' etc. While cooking these recipes, the chefs actually give a lot of tips, information about the food that they're preparing. extra information on this 'chicken 65' really interested me. but the most acceptable/believable/logical theory seems to be that "this dish originated in a military canteen in Chennai and as most of the soldiers, officers were from various parts of the country, to avoid language problems, they actually used a unique numbering system in the menu card/board. and this particular dish was the 65th item on that menu. so it became chicken 65..." (but i wonder what happened to 'Mutton 32', 'Egg 47', ' Idly 01' (idlies are most likely to be the 1st dish on any menu), 'sambar vada 69' etc. why dint those dishes survive?). but we should give the benefit of the doubt to the chicken, i also think this theory sounds much better compared to others. another thing which really inspired me to write this post is the following video. this is a must watch!!! @ viknesh: i heard about that version too! also heard that buharis made up that whole story and it's not true! anyways thanks for dropping by! @ chethan: i am pretty sure it is not from china! it's an Indian dish only! u can be sure abt that dude! @ sorcerer: thanks pal! glad u liked it! Let me tell you a chick which is only 65 days would weigh less than 400 gms with its quills. although there are broiler breeds which are available lately that become 2kgs in 2 months. your theory of chennai milatary canteen with item no 65 seems to be the best.